The new application available from Adobe Labs carries a codename and is dubbed "experimental technology." It converts artwork and animation contained in Adobe Flash Professional files with the ".fla" extension into an HTML format that can be opened on the mobile Safari Web browser on iOS devices. "This allows you to reuse and extend the reach of your content to devices that do not support the Flash runtimes," Adobe wrote. Once Flash files are converted to HTML, they can be edited with an HTML editing tool, or by hand. Content can then be viewed on a supported browser like Apple's Safari. Adobe noted that not all Flash Pro features are supported in the HTML5 format, like 3D transforms, ActionScript, streaming sound, and embedded or external video. Supported features include images, layers, scenes, font embedding and FrameSets. 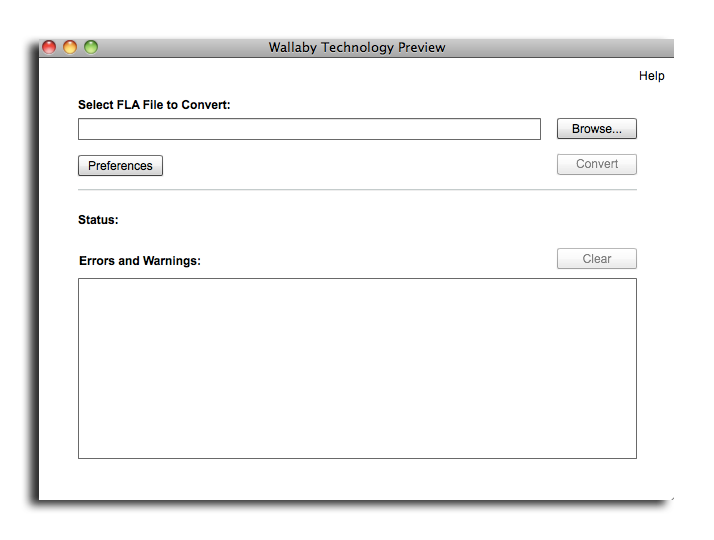 Wallaby is best used with Apple's iOS 4.2, as previous versions of the mobile operating system have known masking issues with HTML files converted from Flash. Remaining issues, Adobe says, are a result of a bug in the mobile Safari browser, and include artifacts when zooming and borders around masked artwork. The lack of support for Adobe Flash on the iOS platform has been a major point of contention between Adobe and Apple. The debate came to a head last year, when Apple Chief Executive Steve Jobs penned an open letter in which he slammed Flash as technology unfit for the modern era of low-power touchscreen computing devices like the iPhone and iPad. Apple even went as far as to stop shipping Macs with Flash preinstalled, claiming the change ensures that users will install the latest version of the software for enhanced security and performance. But tests also found that the removal of Flash from the new MacBook Air boosted battery life by two hours. As an alternative to Flash, Apple has pushed the HTML5 standard for its mobile devices, as it does not require any special plugins for a browser. Flash was also touted as a major feature of the new Motorola Xoom tablet, though the hardware shipped last month lacking support for Adobe's plugin.